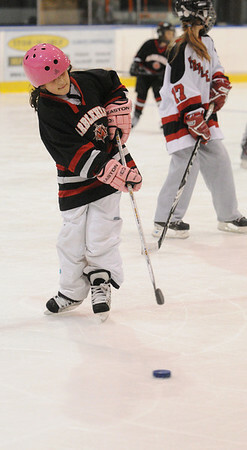 Ava Ulian, 8, practices handling the puck at the Marblehead High School girls hockey youth clinic at Salem State University. The players worked with local female youths on Thursday evening. Photo by Ken Yuszkus/Salem News, Thursday, February 24, 2011.